Firstly, a horse must be entered: The 2018 Equine Elite selections WIll be held from 30th July until 5th August at Stal Korenbloem in Weert. You can enter your horse by simply sending an e-mail to : info@equineelite.nl or by calling us: Jenneke Spanjers (+31) 0623-787988 / Ronald Lammerink (+31) 0629-5017801 It is possible to request the most convenient time and date. All horses are presented under saddle, in white bandages & Plaited. The horse in question is then tested by our test riders. Horses are evaluated under saddle by the selectors and riders. Horses are then photographed under saddle. If your horse is selected for the auction then he must undergo a complete vetting including x- rays. 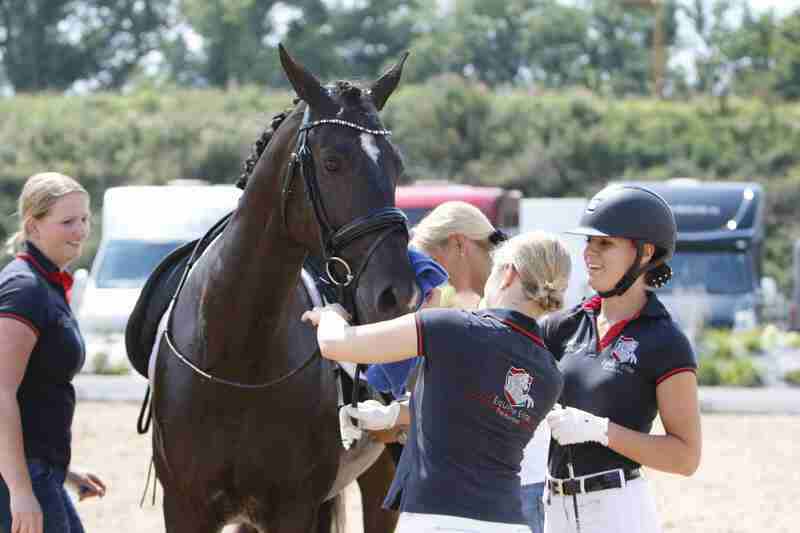 Your horse will then be trained and presented to potential clients up until the auction (last Saturday of October).